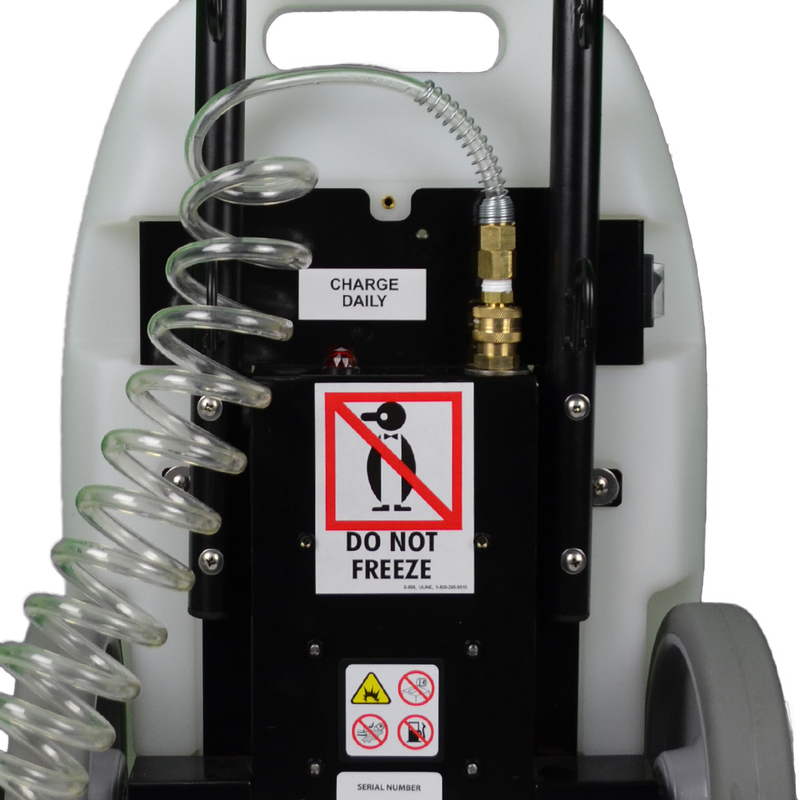 Unlike our high pressure power washers this unique eco friendly battery operated pressure washer system uses low pressure water to clean vehicles and is also an alternative to reclaiming water. The EPA (Environmental Protection Agency) in states like California, Texas, Florida and areas of the country where large bodies of water exist want mobile detailers to be compliant by containing their run-off wash water. This can be accomplished by using a Water Containment System or by using our Low Pressure Wash System. Using our Penguin P200 low pressure wash system will enable the user to wash and clean vehicles using low pressure water with a special Detail King liquefying lubrication cleaning solution - DK Eco Wash Concentrate. Normally you will only use a few quarts of the water/Eco Wash Concentrate mixture to wash an entire vehicle. 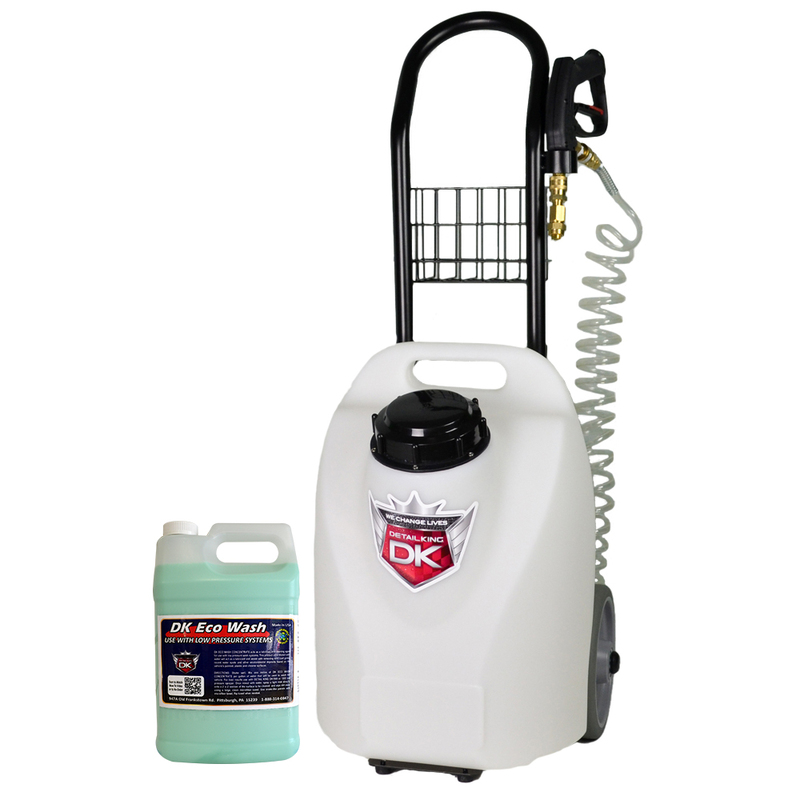 The included gallon of DK Eco Wash Concentrate product mixed with water will liquefy and lubricate the surface being cleaned and drastically reduce the amount of water needed to clean the vehicle. Unlike "dry wash" type products the mixture will not scratch the surface and will clean it much faster. Areas of the country where there are water restrictions will love this unit. The objective here is to clean the exterior of the vehicle to prepare it for detailing or just provide an excellent hand wash without having any water running off the car on to the ground or asphalt. This unit comes standard with a power cord (for recharging battery), rechargeable battery, handle, spray gun, two spray tips; one long lance and one short jet. 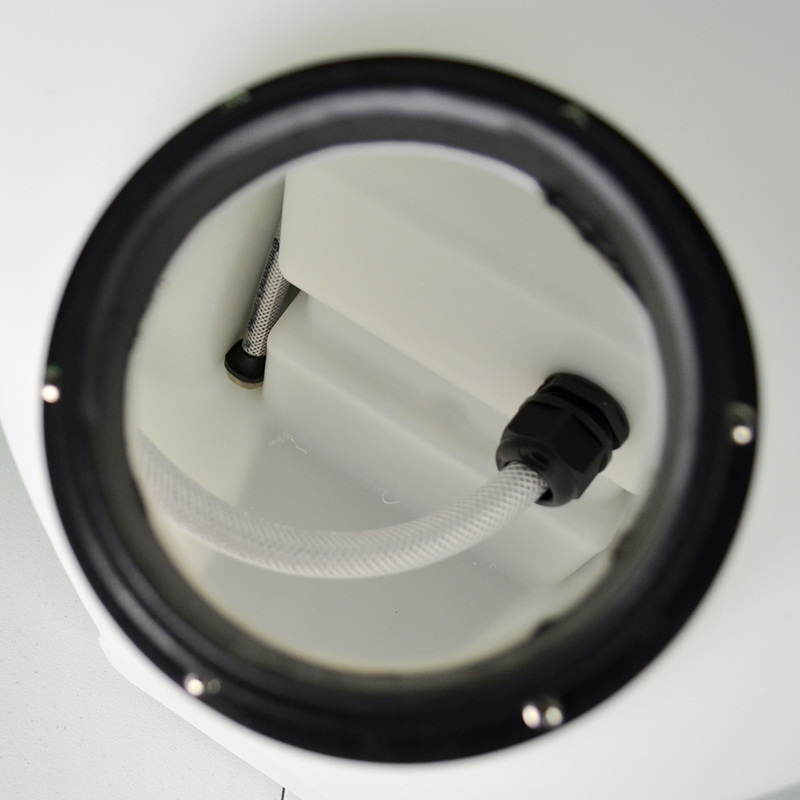 The DK 1505 is battery operated, will operate continuously for up to 18 hours before needing re charged and will wash an average of 10-15 vehicles per 5 gallon tank. 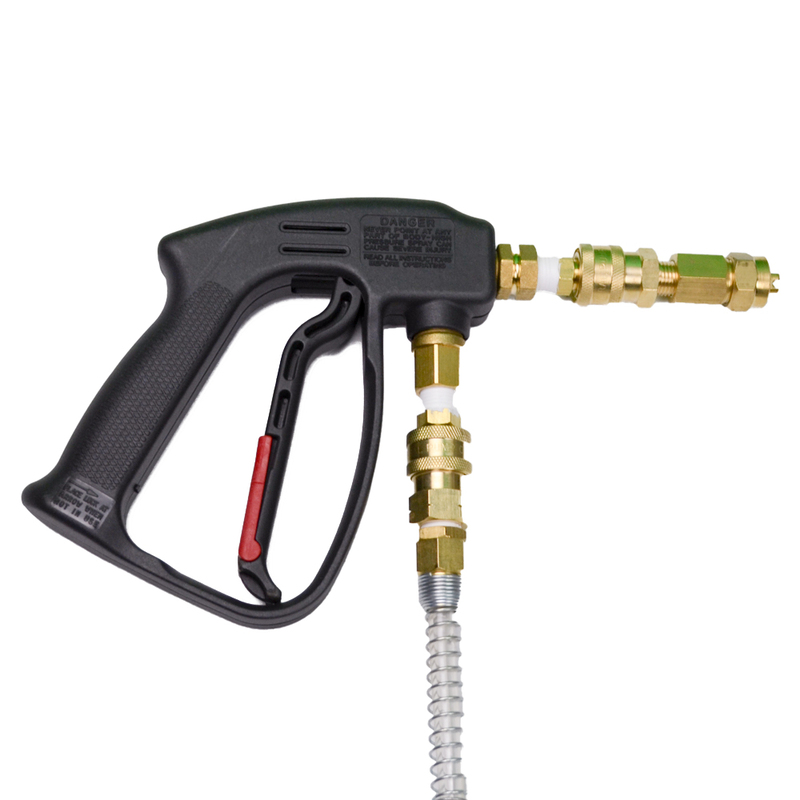 You can also use the Penguin P200 as a prepping tool to pre soak vehicles that you are going to power wash. Use the 18" lance when doing this. Our Special Force PLUS makes an excellent prep soap to use prior to power washing vehicles. Many Fleet Wash professionals would use the P200 for this purpose.